Today is National Doctors’ Day (March 30), an annual observance aimed at appreciating physicians who help save our lives everywhere. The holiday first started in 1933 in Winder, Georgia, and since then it’s been honored every year on March 30, which was the first anniversary of a doctor using ether anesthesia by Dr. Crawford W. Long. Today we continue to celebrate medical advances like these and thank all doctors everywhere who’ve spent so much time and energy mastering their field of expertise. It's always important to recognize the hard work and dedication that physicians demonstrate in our hospitals and communities each day. Send your doctor an appreciation card or email, donate to your local medical center, or even nominate your doctor for an award. 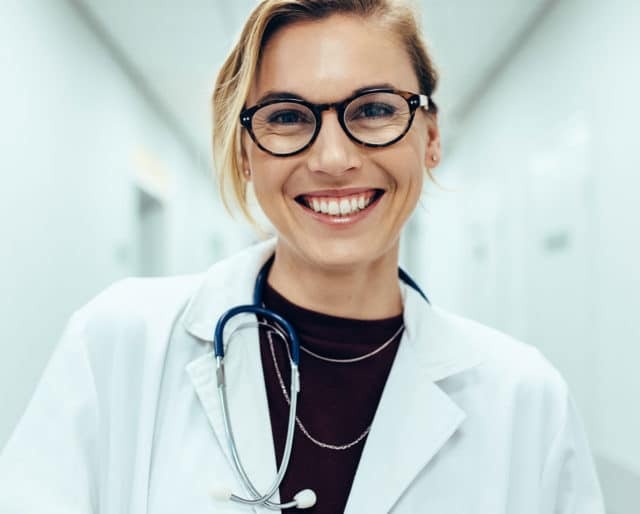 With nearly 700,000 people working as physicians and surgeons across the United States, your doctor would be thrilled to know that their hard work has been valuable to your health. Regular visits to your doctor can help find problems before they start and help you have a better chance of treatment and cure. Instead of avoiding your doctor and healthcare provider, take initiative in scheduling regular visits to ensure you're on the right track to better health. While doctors love to diagnose and help alleviate your problems, they also want you to stay healthy too. Continue practicing daily healthy routines—hydrate, exercise, and fuel up on balanced meals. Your doctor (and your health) will be sure to thank you! Not only do doctors diagnose our everyday illnesses, but also they address our fears, our loneliness, and anxiety. They offer valuable advice to not only help us physically but mentally too. By listening to them, they help us survive and thrive. Doctors cut open living people to remove disease, hold our heart in their hands, and put our broken bones back together. By doing the incredible things they do everyday, people who might otherwise have died, don’t, and we can live longer, fuller lives. No matter what their specialty is, doctors significantly improve your well-being and are critical in furthering the lives of their patients. Doctors are truly the everyday superheroes! A doctor works an average of nearly 60 hours a week and even more impressive, they work 1.5 times more years than the average American does. They work well under pressure, they're industrious, and they're attentive towards each patient. If there's one person you can count on who will never get burnt out, it's definitely your doctor.